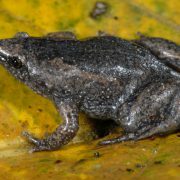 Frogs have difficult lives in South American rainforests. 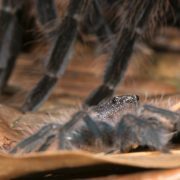 Many of them are preyed by snakes and by arthropods, especially by spiders which are big and particularly active at night. 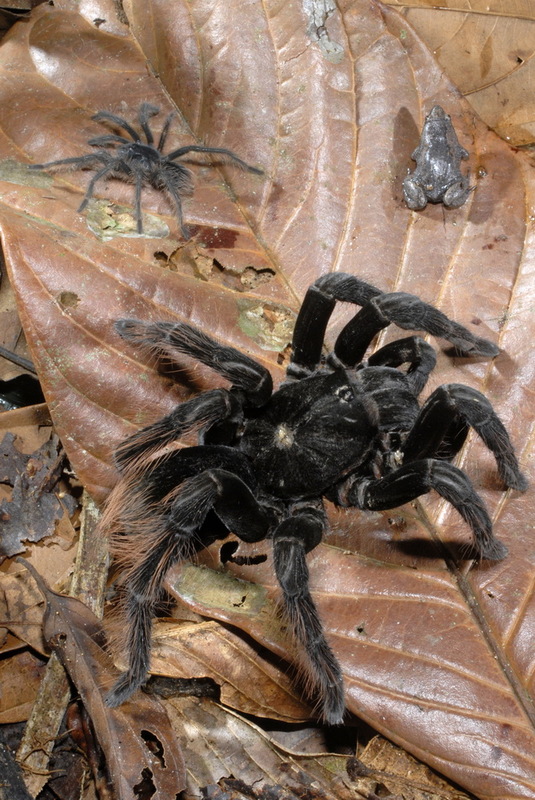 Tarantulas like Teraphosa, Pamphobeteus and Avicularia, especially adult females, are adept killers of treefrogs and forest floor species smaller than themselves. 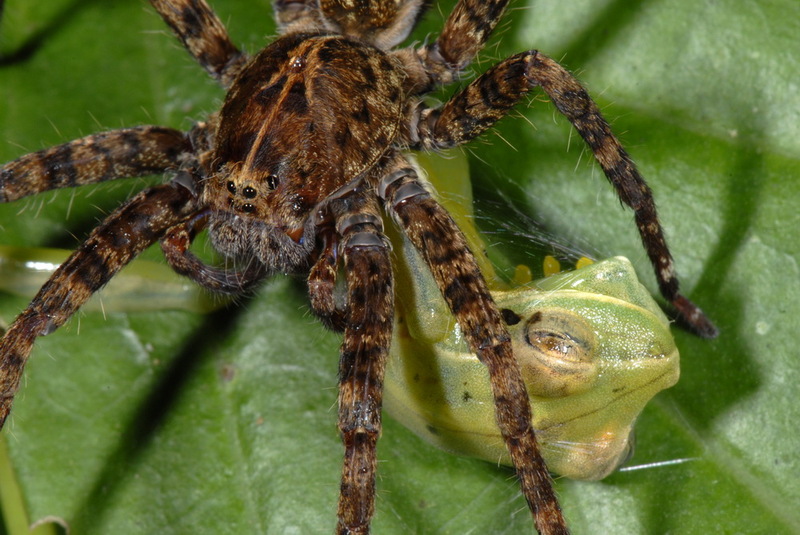 But there is a frog that developed a peculiar relationship with some spiders. 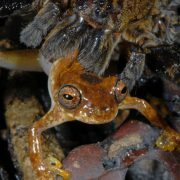 This is the Microhylid Chiasmocleis ventrimaculata, a 3 cm long terrestrial frog, common on the wettest forest floor, near rivers. 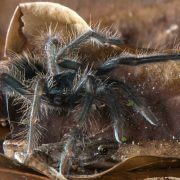 But what’s interesting is that this species lives, often in good numbers, near and inside spider burrows of some tarantulas species. 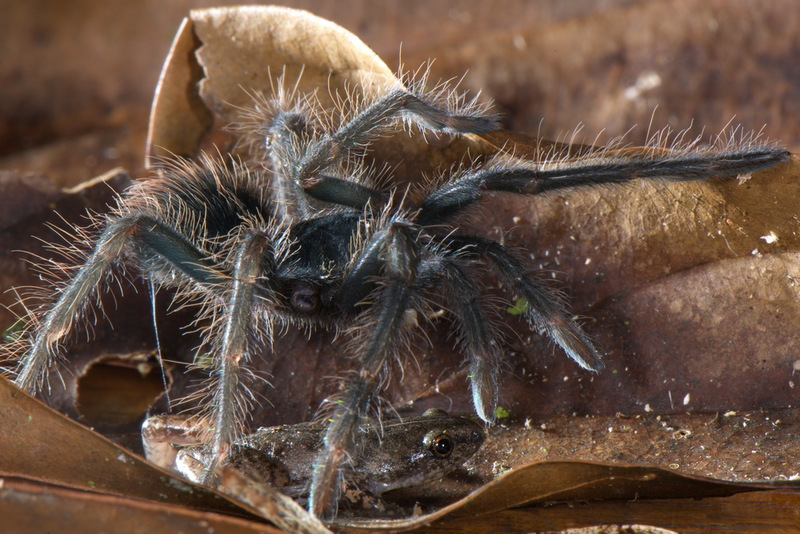 The spider, a still undescribed Theraphosidae of the genus Pamphobeteus, tolerates the frog and never attacks it. 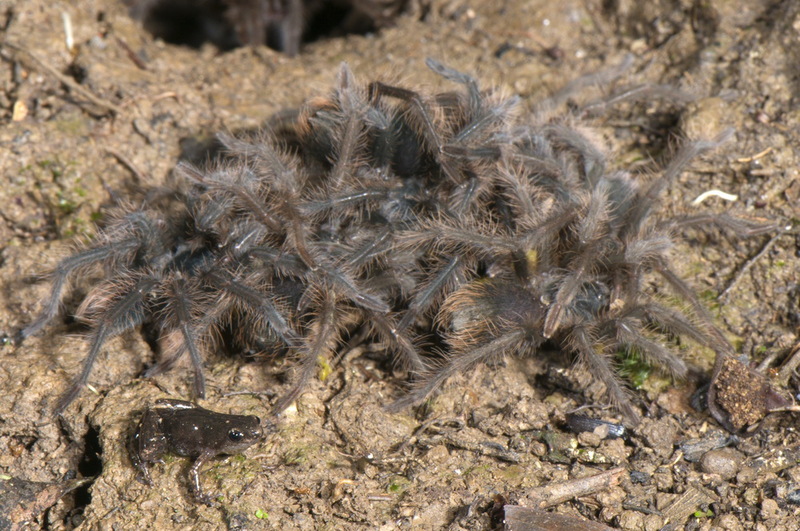 Adult females of this species live together with her spiderlings until they have at least one year with no sign of cannibalism. 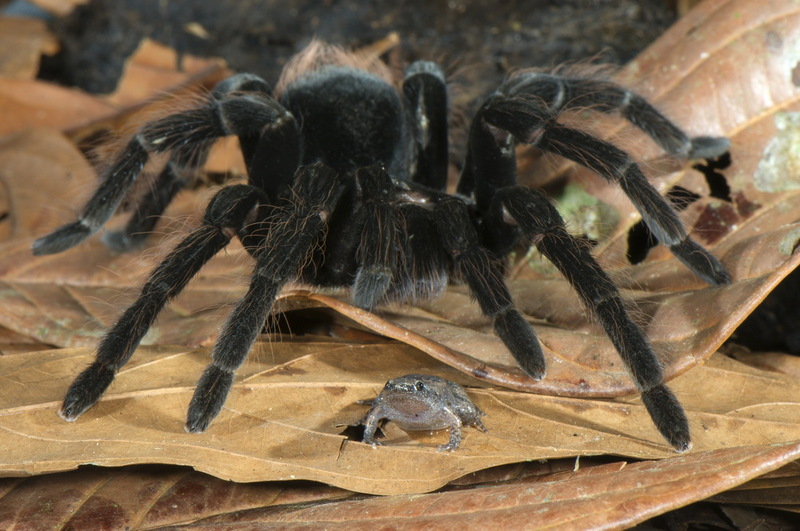 They also feature communal feeding, mother and babies, on cockroaches, crickets and of course small frogs but they pay no attention to this tiny Microhylid living with them. 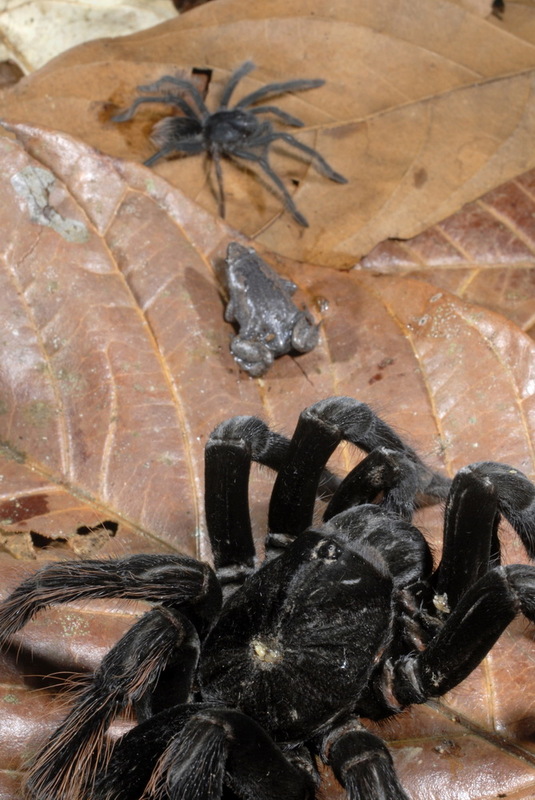 Field tests indicate that the frog probably recognized thanks to skin chemicals that the spider finds unpalatable. 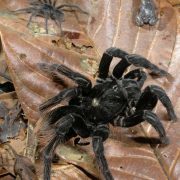 The advantages for C. ventrimaculata seem obvious: thanks to its fearsome “bodyguard” it won’t be attacked by other spiders and by small snakes. 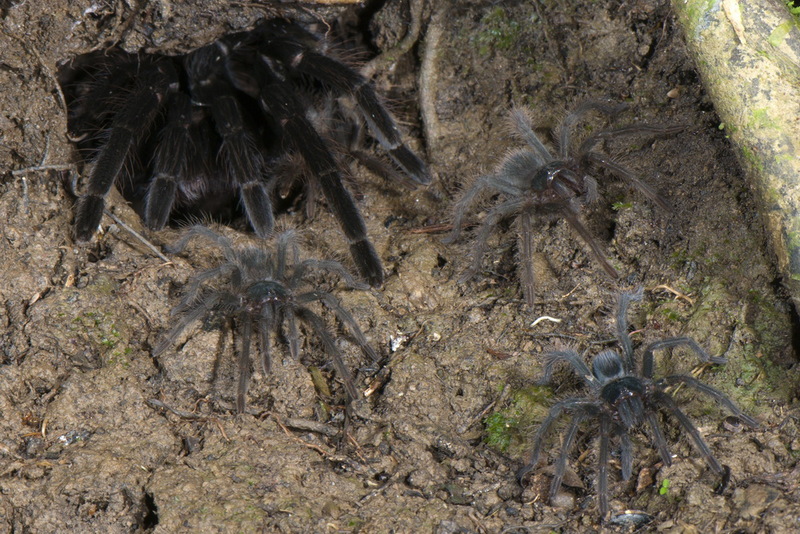 Intrusions are not tolerated in the tarantula territory. 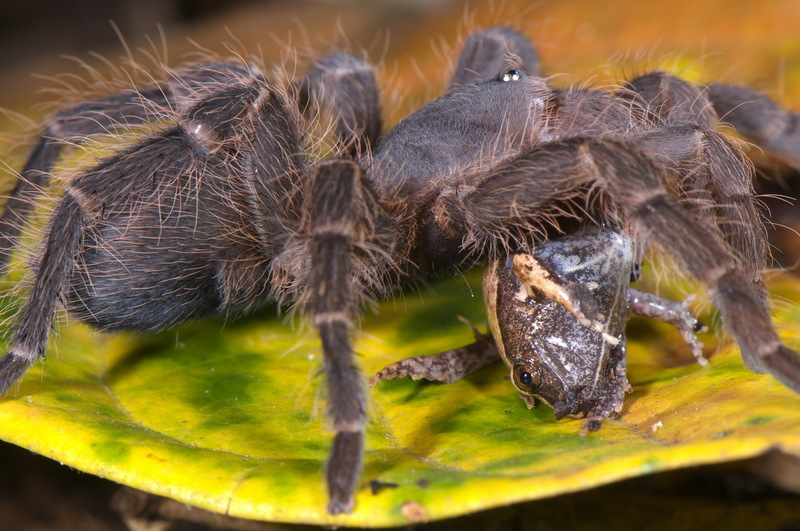 And it’s possible the Arachnid is somehow helped by the frog who preys upon small parasites (mainly Diptera) and possibly ants that could harm the spider or its eggs. 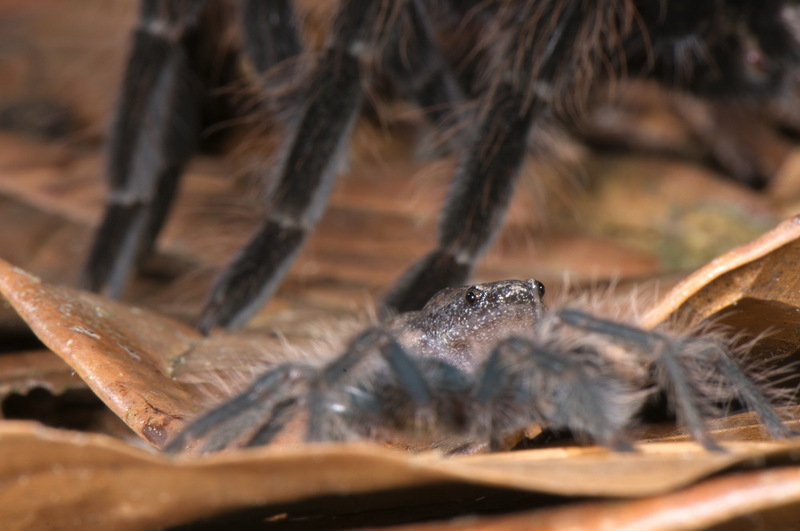 This curious relationship is one of the few cases of mutualism between amphibian and spiders, for the first time photographed with such detail. 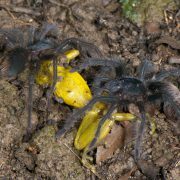 The relationship between the two partners anyway is not rigid: many tarantula burrows were observed without frogs, as far as free frogs roaming on forest floor with no spider protector. 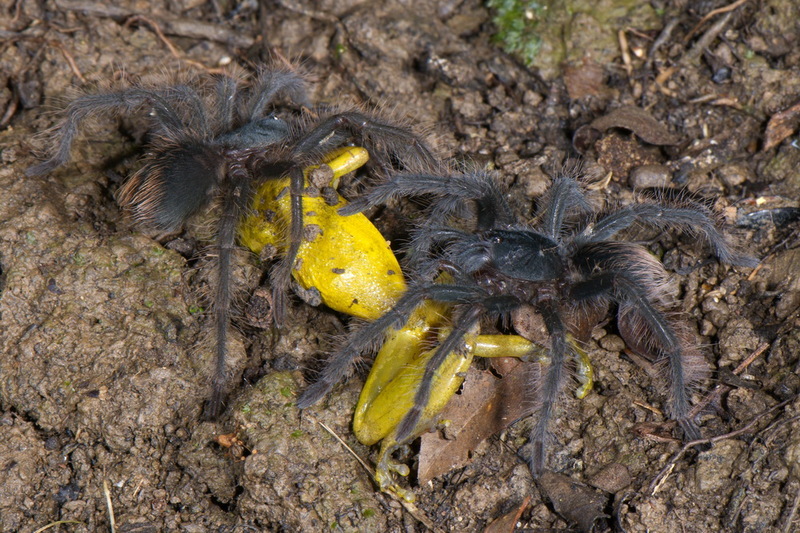 Similar cases are documented with Xenesthis immanis instead of Pamphobeteus sp but it’s likely that other tarantula species have this kind of mutualistic relationship with Chiasmocleis. 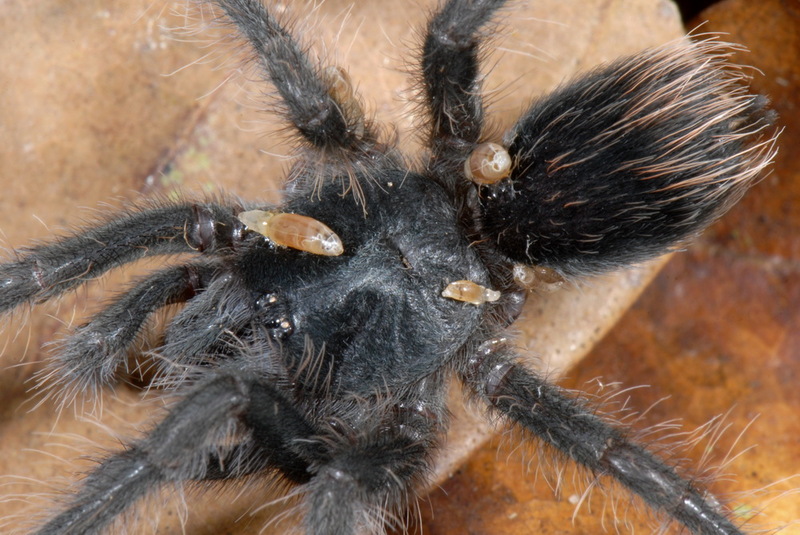 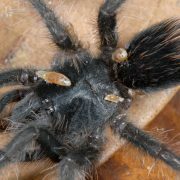 Close relationships between the Microhylid Ramanella nagaoi and Kaloula taprobanica and the tarantula Poecilotheria ornata and P. subfusca are reported in Sri Lanka (Asia). 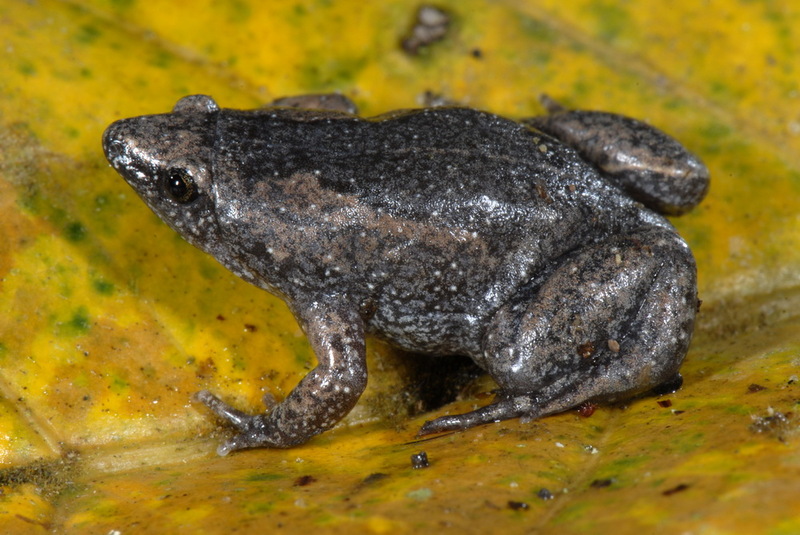 These species are big and aggressive arboreal hunters, known to consume tree frogs. 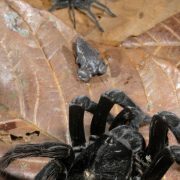 But apparently Ramanella shared tree hole with the spider and the young’s without being attacked. 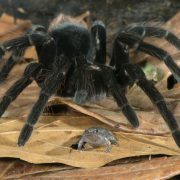 Another relationship has been reported between the spider Aphonopelma seemanni and the tungara frog Engystomops pustulosus from Mexico. 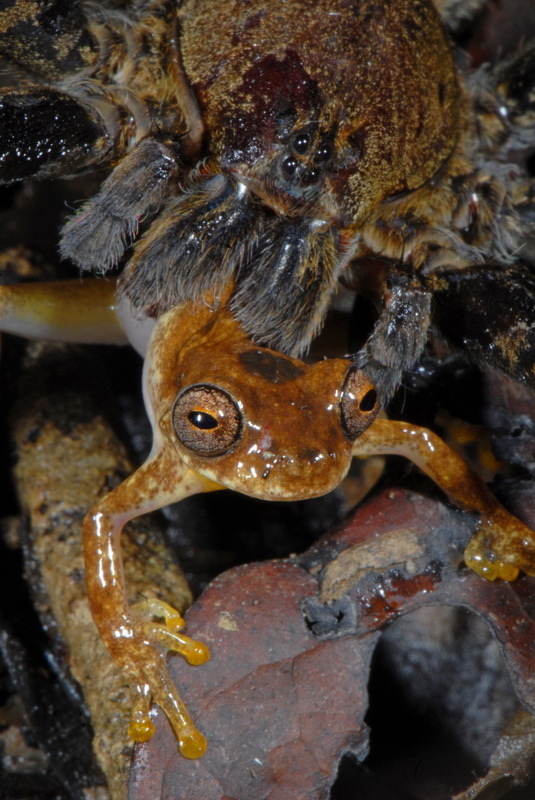 This last association widens the spectrum, cause the frog isn’t a Microhylidae like the previous ones. 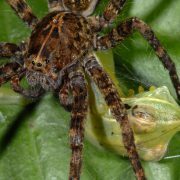 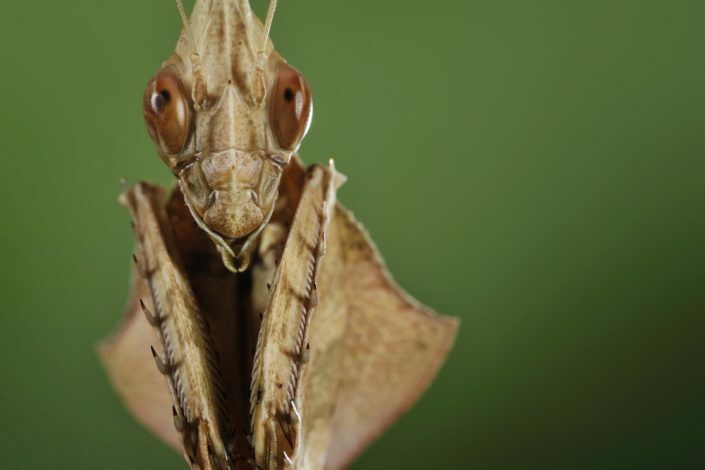 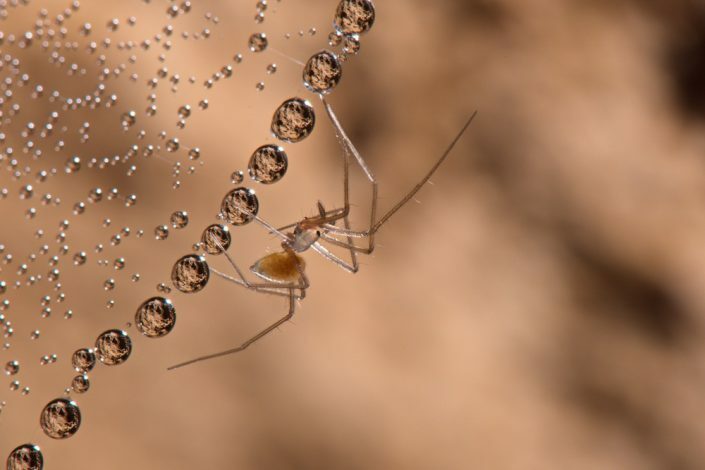 It really seems that mysterious relationships between spiders and frogs are much more widespread than thought in the first moment and this could lead to even more discoveries in the near future. 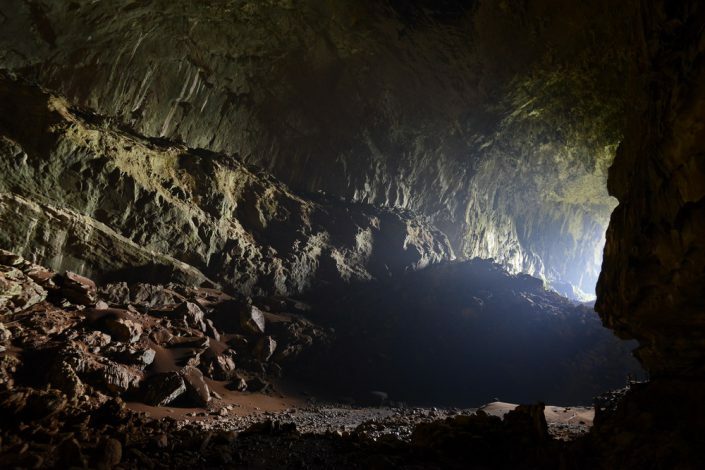 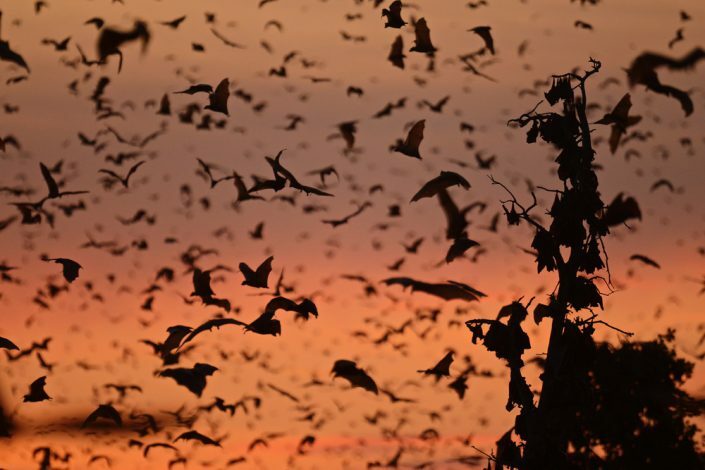 Tropical forests are erupting volcanoes of biodiversity, each species being bond to tens of others in a endless and complex web of relationships. 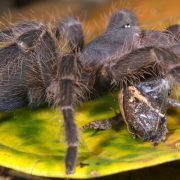 Disentangling this web and understanding its schemes is one of the most interesting and important challenges in tropical biology research.